Yang Xinguang is an artist whose work explores the interconnections between the natural world fabricated materials in a post-industrialist society. 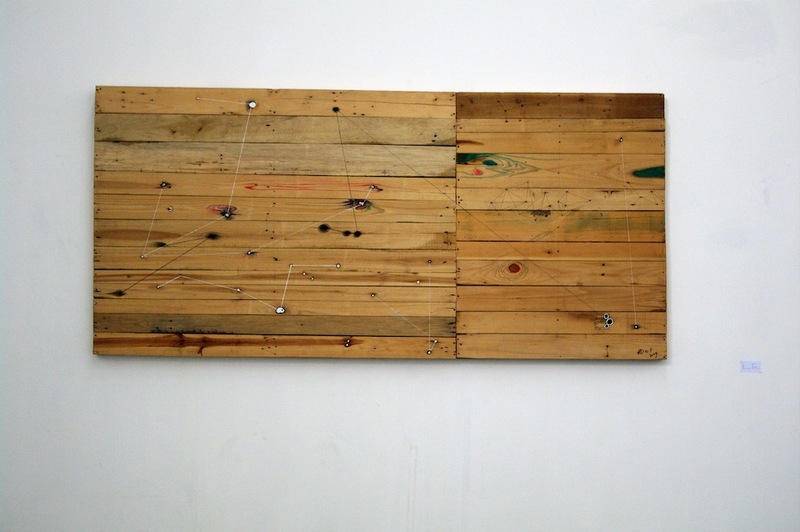 His work is deliberately restrained and frequently uses reclaimed materials such as found wood planks, a gesture that recalls the Arte Povera movement’s commitment to using un-rarified and common materials in art making practice. His work is also deeply invested in exploring the phenomenological relationship between viewers and artworks, and his sculptural installations gesture towards Minimalist traditions, inviting viewers to pause and consider their own relationship to their surrounding space. Yang is a graduate of the Central Academy of Fine Arts in China. He has exhibited extensively throughout China and has had international exhibitions at venues such as Artissima, Turin, and Art 41 Basel in Switzerland.